Jun 11, 2011 · Mavs intro vs the Miami Heat at game 3 of the 2011 NBA Finals. It used to be these were the depths the Miami Heat would scour only ... Dallas Mavericks coach Rick Carlisle beat the Heat and LeBron James in the 2011 NBA Finals. ... Final statistics from the Dallas Mavericks vs. Miami Heat game played on June 12, 2011. EDITIONS ... He averaged just 17.8 points per game in the 2011 NBA Finals. 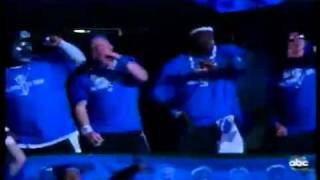 NBA finals 2011: Dallas Mavericks Vs Miami Heat Game 3 Intro. I hate being so anxious for this game. I wish I would've never discovered this place so I wouldn't care who wins [face_tongue] ... Taken 3 Review. Browse. Description : Mavs intro vs the Miami Heat at game 3 of the 2011 NBA Finals.